A little late, but I would like to wish you all a happy Yuletide! I'm not a fanatic Pagan or something, but these old ways make much more sense than those Abrahamistic relegions. Lots of boundaries for people who seem to need them and mostly can't even live them. I don't say that my way of living is better and I expect relegious people to also not say that about their. And that... is mostly a problem for them, because they're already instructed that their way is THE way to live and believe. If you are relegious, reading this and think I'm talking crap. If you don't believe that your way is the best and only way to live... I respect you for that. Before feeling yourself insulted, you should ask yourself if you respect someone that doesn't believe what you believe. Mutual respect or no respect at all! Now it's time to write about some new stuff I've bought/received! Like every year, I've bought myself a new pipe. I say every year, but actually I've started with this last year and I'm planning to continue and buy myself a new one each year in December. It wasn't only a pipe that has entered Castle Wonnebald this year... Also a nice, pretty bottle! As you probably can imagine, I'm a happy man at the moment and I'm enjoying my peated whisky right now. 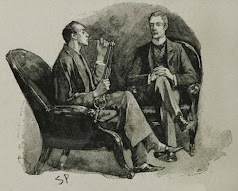 The strange thing is that I've always hated whisky and other strong drinks... But in 2010 on a PRF-pipe-smokers-meeting, there was a whisky nosing & tasting, organized by one of the members. 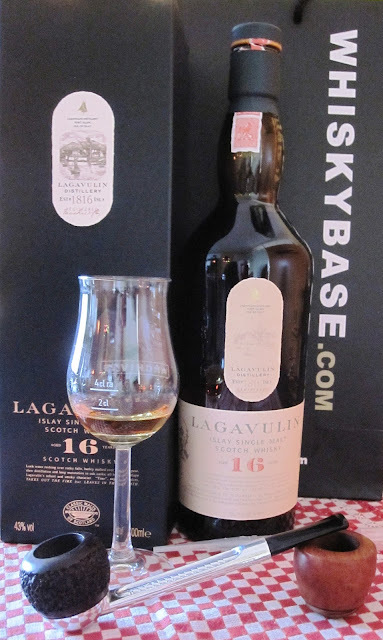 He offered my a single malt whisky and I thought; why not! And that was attempt number ??? No idea.... But I hated it again. Then he asked me why and I explained him that I don't like the soft and nauseous taste of it. Then he gave me another glass of whisky, this time with some peat! I thought I could just give it one more try, but to be honest; I didn't expected much of it. Holy Pork! This stuff ROCKS! The taste reminded me of something smokey and I could taste something like leather also. A little bit salty.... Some weeks later I've bought myself a bottle of Talisker 10yo and I've enjoyed it a lot! 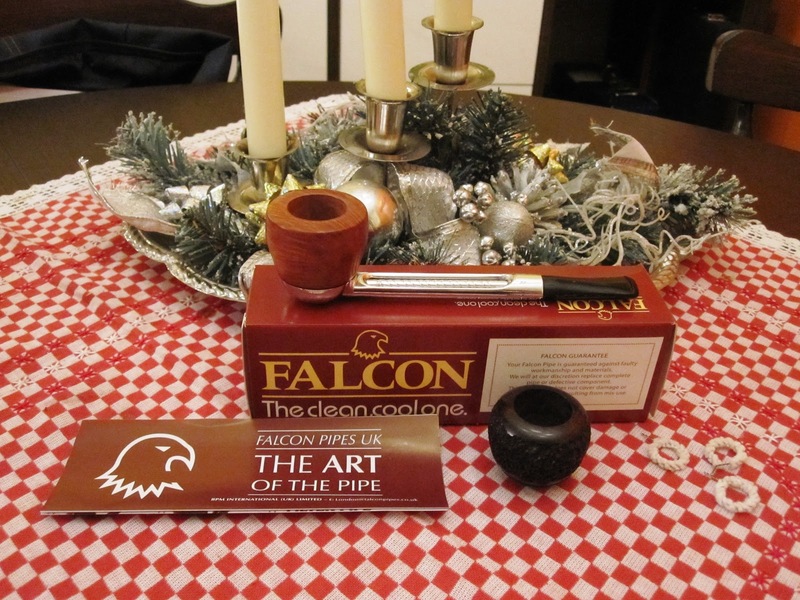 The other 'present'; a Straight Falcon pipe with rusticated Apple bowl and extra Hunter Dover bowl! Most people don't call this pipe pretty... 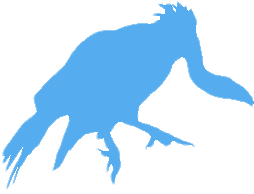 They often call it very ugly and... Ahh... Everyone has the right to have an opinion and to be honest; when I first saw a Falcon-pipe, I didn't like it at all. On the Dutch Pipe Smokers Forum (PRF) was a topic about Falcon and I started to read it. More and more I realized that this pipe was designed almost perfectly. Everything has a reason and a function! Starting with multiple bowls you can use one after the other (normally you have to give at least 1 day rest to a pipe after smoking, so that it can dry). The pan below the attached bowl is there to catch all the liquid from the tobacco while smoking. This gives you a very dry smoke, which means more pleasure. The stem is designed for not getting hot. After reading all this, I started to like Falcon more and more. And after some months I even thought them pretty! Then I've decided to buy one! They smoke amazingly great! Very easy to clean also. As you can see, this pipe is very compact. I'll take it with me on travels and when I visit a festival or something. Maybe also on a zombi apocalypse... Very handy! A blog without plants?! Nope! My Brighamia insignis has flowered! This succulent was a present from my mom some years ago and it's actually kind of young for having flowers. And here's something interesting; all over the internet they say this plant can't self-pollinate. In the wild this plant is almost extinct, because the special moth that causes the pollination isn't around anymore. 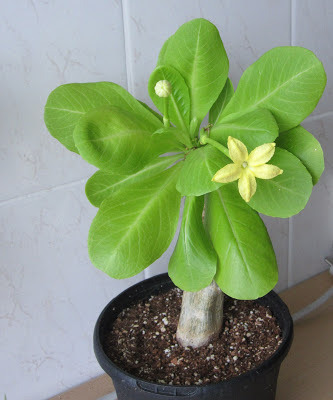 Okay... Can Brighamia insignis self-pollinate? I say; YES! Check out the pics below! I've had to help the plant a little with a small brush, but I could accomplish it! 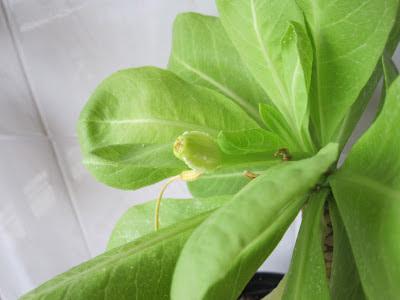 I have only 1 plant (which is kind of a proof of its self-pollination). Weehhoooo! By the way; this is the first time I have a seed-pod on a plant and I'm kind of happy with it! 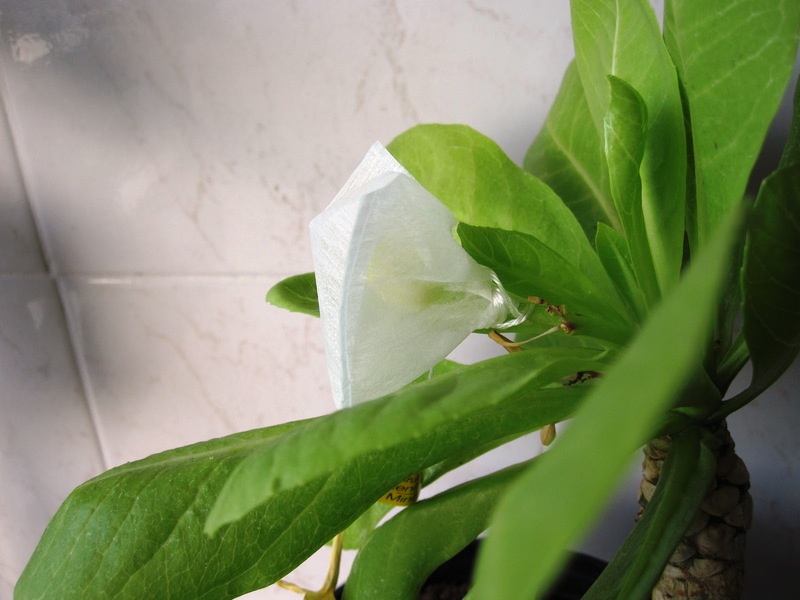 Some time later, the seed-pod started to crack a bit... Then I used the special-Tea-bag-method I've invented last weak... Uhuhm.... Empty a tea-bag, put it around the pod and close it up with the tiny rope. Tadaa! Done. Now I'm waiting for further instructions on the Cactiguide forum, because I really have no idea of what to do! The cacti are all asleep right now.... It's winter and there's not much to do! Within some months I'll order the seeds for spring next year and then I'll probably feel the need of writing about it again. 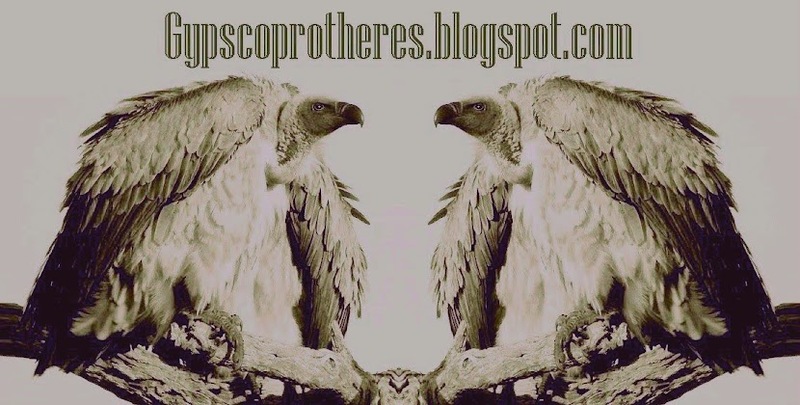 -The Dutch Pipe Smokers Forum (PRF).